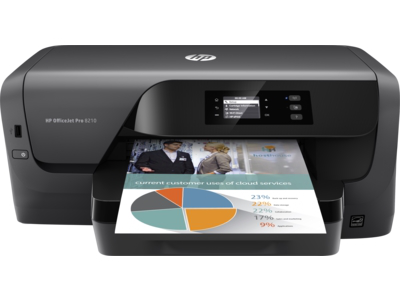 Manage your budget with professional-quality color at up to 50% less cost per page than lasers with the HP OfficeJet Pro 8210 wireless printer. Speed through print jobs, using fast two-sided printing. 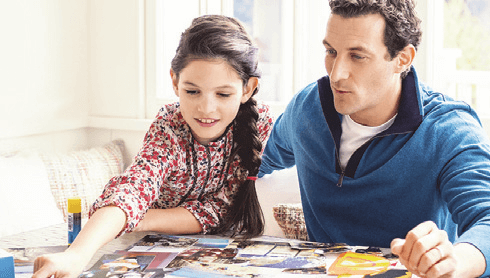 Easily print Microsoft® Word and PowerPoint® files, plus Adobe® PDF files, directly from your USB drive. 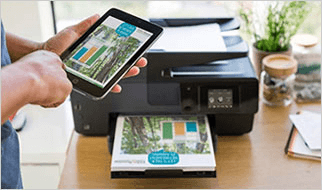 Easily print documents, photos, and more from a variety of smartphones and tablets with this wireless printer. Main functions of this color printer: wireless printing, AirPrint, 2-sided duplex printing, display with keypad, Instant Ink ready so you'll never run out of ink. Redefine expectations with comprehensive fleet management tools that help you seamlessly control your print environment. Stay productive with a 2.0-inch display with keypad that’s intuitive and easy to use. Print speed of up to 22 pages/minute (black) and monthly duty cycle up to 30,000 pages. What's in the box: HP OfficeJet Pro 8210 Printer, HP 952 Setup Black Instant Ink Ready Cartridge (~1000 pages), HP 952 Setup Cyan Instant Ink Ready Cartridge, HP 952 Setup Magenta Instant Ink Ready Cartridge, HP 952 Setup Yellow Instant Ink, Ready Cartridge (CMY composite ~625 pages), CD-ROM, Set up poster, Getting started guide, power cord. Media Size Statement - 8.50" x 5.50"; Photo - 4" x 6"; Legal - 8.50" x 14"; Letter - 8.50" x 11"; DL Envelope - 4.30" x 8.60"; C5 Envelope - 3.37" x 9"; A6 Card - 4.13" x 5.83"; A5 - 5.80" x 8.30"; C6 Envelope - 4.50" x 6.37"; Envelope No. 10 - 4.13" x 9.50"; Monarch Envelope - 3.88" x 7.50"; A4 - 8.30" x 11.70"; B5 - 6.90" x 9.80"; Ofuku Hagaki - 5.80" x 7.90"
Stay on top of business. Complete high-volume jobs quickly and efficiently with fast two-sided printing. Easily print Microsoft® Office documents directly from your USB drive,4 and boost productivity with a 2.0-inch (5.08 cm) display. Kate7778: After speaking with support, we were encouraged to get this product to meet our needs! Its perfect for any small business needing up to date printing and efficiency! Wouldnt trade it for anything!!! Thanks HP! Initially, highly satisfied. Only time will tell. Henry1048: I am highly satisfied with cost and performance. This is a replacement for my Officejet Pro 8100 that died just before its 8th anniversary. Setup was breeze and first week's performance is excellent. Time will be the true judge. perfguy: I'm happy with the printer so far. Prints fast and wireless connection works fine with all devices. Only issue was getting printer to pull 4x6 photo paper from the tray but it eventually worked.